Just when we got used to non-dairy butter, now we are hearing we shouldn’t buy anything that contains palm oil. Why? Isn’t it vegan? 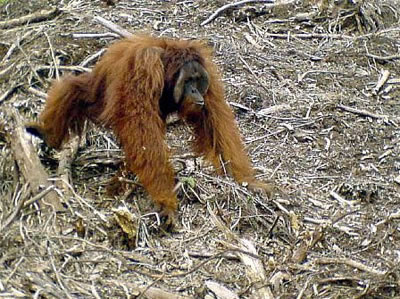 Here’s the short story : “the increased demand for palm oil, which is grown only in tropical environments, is fuelling destruction of the rainforest habitat of Sumatran and Bornean orangutans, pushing those endangered species even closer to extinction. There is sustainable palm oil but that is about 7% of the total production and it’s more expensive so companies might not be willing to pay for it. 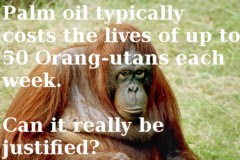 However, the orangutans and other wildlife are paying for it. See for yourself. Here is the documentary “Green” by Patrick Rouxel. There is sound but no narration. You don’t need words to understand what is happening. See if watching this film doesn’t lead you to read labels even more carefully than you do now. So what can you do? Here are some ideas: http://www.all-creatures.org/aip/nl-20091120-12.html including petitions, officials to write to and places to donate. Of course, our greatest power is in our wallets. 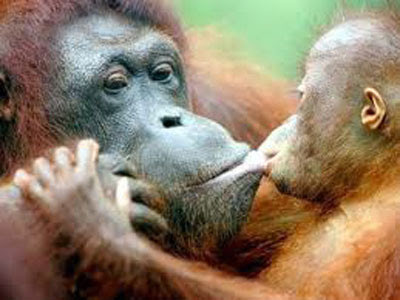 If we stop buying products containing palm oil, it will send the message to companies that it is unacceptable. Yes, that means giving up a lot more things that we’re used to having but come on, we vegans know that it just means learning about and getting used to new things. And we also know that when we use cruelty-free substitutes, it’s not only better for the animals and the planet but we benefit as well. We end up consuming products that are healthier, purer and many times, less expensive and much tastier! So back to the butter – what are our choices? We can use margarine and get all those hydrogenated fats (YUCK! ), we can search stores looking for non-dairy, vegan butter and pay anywhere from $5 to $10 for a tub (depending where you live) but it will have palm oil (and maybe flavoring made from corn, did you know that? I didn’t.) or we can just use oil while we wait for some company to make a vegan butter without palm oil. Or we can make our own vegan butter!! Making your own vegan butter is easy. Of course, that’s because all the hard work has been done by others who figured out all the science, like Mattie at www.veganbaking.net All that’s left to do is create your own variation to make the butter you like best. The only question was which milk to use. I don’t use soy milk and like I said, I wanted my butter to be soy-free. I normally drink unsweetened, 40 calorie almond milk but it’s a thin milk. I ended up making 2 batches of butter: one with the almond milk and one with a cashew puree. The results were close – they both looked like butter, they both tasted like butter but the almond milk butter was oilier and had a looser texture. The cashew-based butter was creamier and had a more solid texture. It was the winner! Of course if you don’t need the butter to be soy-free and/or you need it to be nut-free and seed-free, you could use soy milk and soy lecithin in the recipe instead of the cashews and sunflower lecithin. Now I have homemade vegan, palm-oil free butter in my freezer. Less tubs in the fridge will mean more room for veggies. And most importantly, it’s a such an easy thing to do that means so much for the animals. Because they need their home a whole lot more than we need butter. Have all your ingredients and the molds ready so you can work quickly. In a food processor, combine the cashews and water and mix until you have a smooth puree. The consistency should be like cream. (Note: I did not soak my cashews but only because I didn’t plan on making this in advance. If you know you are going to make this in advance, soak the cashews for a few hours). Pour the cashew puree into a bowl, add the apple cider vinegar and salt. Stir and set aside for about 10 minutes. It should thicken a bit. Clean out the food processor. If your coconut oil is not at room temperature, you can heat it until it’s just melted and then let it cool to room temperature. I knew I was using the whole jar so I just left it out of the fridge until it was at room temperature. Add the coconut oil, the canola oil, the cashew puree mixture, the sunflower lecithin and the guar gum to the food processor. Process for about 2 minutes until it is completely smooth. Pour the mixture into the mold and freeze it until it is solid, about an hour or so. You can use an ice cube mold for short sticks of butter or you can use a small container for a tub effect. When it is solid, carefully pop the butter out of the mold. The recipe made 3 short sticks of butter. I wrapped each in plastic wrap and put them in the freezer where they should last for a year. When I want to use one, I will transfer it to the fridge in an airtight container. That’s it! We have butter! Enjoy! We Love You! Please Don’t Use Palm Oil! Hello. Just (not 5 minutes ago) found this site. I really do like the idea of the butter recipe. Problem is, I cant use cashew, I was wondering if you had tried using coconut milk in place of the cashews or soy milk? Just really looking for a way to work around the cashews and soy. I always have coconut milk on hand, soy milk, not so much. Hi Kathy, yes you can use coconut milk or soy milk. I was just trying to make it soy-free. That’s why I used sunflower lecithin. You could use soy lecithin instead. Just know that the more fat the milk has, the better the butter will turn out. These things make the difference…. No soy, gf, vegan, no palm oil, non-hydrogenated and people here think I have lost the plot when, on the contrary I am getting a firmer grip upon it! I find so much you do very reliable as there is much I can use and others do enjoy it very much too. “even worse”. In what sense? Sounds like a bit of speciesism going on there if I’m not mistaken. Hi Lizbeth, thanks for the cheater’s trick. What a great idea! 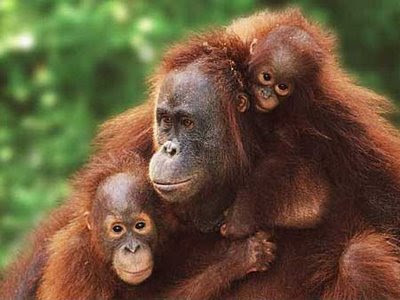 Summary: They only use palm oil that doesnt harm orangutan habitat. You have to use the coconut oil. Butter is oil. I don’t know a way around that. Sorry. Is it possible to make this without oil period? Thank you all for the comments. Yes, it is easy to make your own butter. Who woulda thought? Palm oil is in everything. It’s really hard to avoid. I’m very grateful for the info on Palm oil…I won’t ever use it or purchase anything with it again….and thanks for the recipe!! Love this recipe! I’m so happy to be able to make homemade, vegan, cruelty-free butter. I’m now making my second batch! 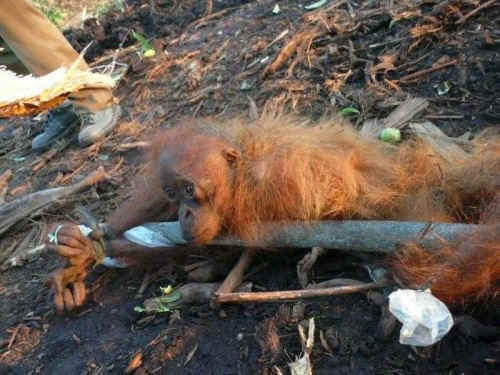 I had absolutely no idea about the problem with palm oil!! Thank you for getting this information out and for the providing an option for vegan butter. Wow, I never knew it was that easy to make butter. I try not to use butter that much but I like the idea of making my own and knowing exactly what goes into it. i love how perfect it looks! cashew and coconut oil. perfect.